A bid based on an incomplete set of drawings spells trouble for everyone. Every builder has been approached at some point by a client or an architect asking for cost projections based on vague plans—the antithesis of being asked to provide a fixed price on a detailed set of drawings where there are clear consequences to misinterpreting the design. While the builder would like to engage in a detailed conversation defining what the price would be based on, most clients don’t have the capacity to understand the complexity of the construction process, and most architects simply don’t have the time. So builders traditionally have had to make the choice between being as optimistic as possible in budgeting—in order to stay in the running for the project even though they know there will be disappointment and danger down the road as actual costs come to light—or being as honest as possible about the true potential cost, knowing they’ll likely be excluded from future discussions if their bid is higher than the other bids. I’ve always believed that understanding motivation is important in reaching a compromise. 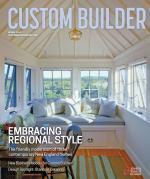 Usually, clients don’t have much, if any, experience with custom building. They typically revert to the commonsense adage that, all other things being equal, they should accept the lower price. Architects operate on thin margins, and developing full plans is time-consuming and expensive. The architect can’t afford to do this pro bono, and the clients don’t want to pay for it until they have the sense that the project is viable. Moreover, a low initial bid frequently results in authorization from clients to move forward with the design process. Your only hope in trying to break this cycle is to open the client’s and architect’s minds to the shortcomings. Here are a few suggestions for how to do this. Provide a budget range, not a single number. This forces everyone to acknowledge that there’s uncertainty in the plans and the budget. Include detailed lists of allowances. All numbers at this point should be considered to be allowances subject to change, but calling out highly subjective, discretionary items such as millwork, tile/marble, and electrical fixtures will hopefully lead to a discussion of what was included in other budgets. Ideally, you can get the architect to level, or equalize, significant portions of the project to reflect realistic numbers. If the architect specifies a chandelier from a particular supplier, he or she should make sure each bidder uses the same price for that fixture, since it’s only available from that supplier. If the kitchen drawings are too imprecise, one bidder may estimate $40,000 while another budgets $100,000. The architect should use a consistent number for both participants. This will help minimize pricing/quality issues down the road. Provide detailed, extensive add/alternate lists. This is a must. Add/alternates allow you to include lower, more optimistic budgets that may be what the client and architect envision (and what competitors assumed in their budgets), while also initiating a discussion on expectations to flesh out whether or not more money should be added. Scott Hobbs is president and co-owner with his brother, Ian, of Hobbs Inc., a third-generation custom building and remodeling firm based in New Canaan, Conn. Comments on: "Don't Let Vague Plans Derail a Project"